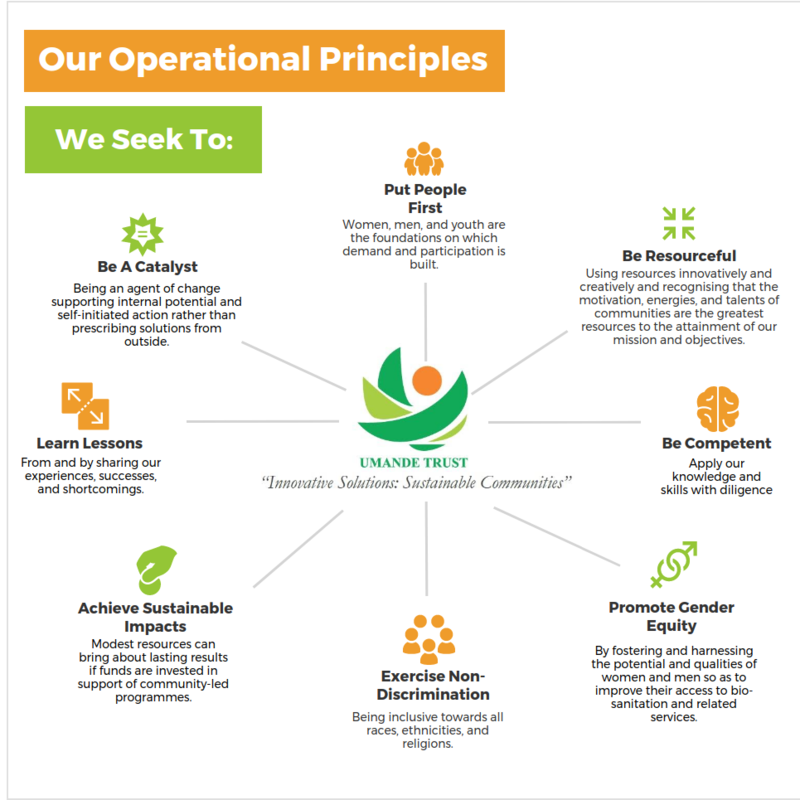 Umande Trust is a rights-based agency, which believes that modest resources can significantly improve access to water and sanitation services if financial resources are strategically invested in support of community-led plans and actions. Our mission is to be the partner of choice in transforming water supply, sanitation and environmental services in close partnership with communities in Kenya’s urban centres. `Umande’ is the Kiswahili term for dew – connoting a new, unbiased, nascent beginning; not recycling the ideas of yesteryears. Prof. Saad Yahya and the founding trustees settled on this brand because of the growing disillusionment with business-as-usual approaches to development . They desired an agency that would experiment, dream, and adapt innovative processes and methods to learning from, sharing and transforming with urban communities. Umande brings together teams of resource persons who share a passion and commitment to learn from, share and achieve lasting change with people. This team comprises community organizers, academics, geo-informatics, urban planning, human rights, civil engineering, social scientists, environmental, gender, youth and enterprise development resource persons Team members have several years of experience from diverse research, civil society and public sector agenciesSince 2004, Umande Trust has facilitated community organizing for independent action but also to demand fairness, accountability and competent services.